TheDevilsTrifecta: When celebrities like Whitney Houston crash. What about the kids? 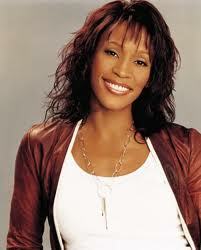 When celebrities like Whitney Houston crash. What about the kids? Given all the recent news of various celebrities falling into addiction, most recently and sadly Whitney Houston, there is also an opportunity to understand what often happens to the children and how they are effected, most commonly by something called Parentification. While growing up with an alcoholic or addicted parent can have devastating consequences in many ways, this affliction is almost certain to be one of them. This phenomenon has two things in common: addiction and parenting. Like substance abuse and alcoholism, Parentification is an equal opportunity destroyer. It does not care if you are famous, unknown, rich, poor, man or woman. But given that we live in an age obsessed with celebrities, they become easy targets for media outlets when it comes to drug addiction. From Demi Moore to Courtney Love to Mel Gibson to Robert Downey Jr., the scrutiny is relentless. When they die, Michael Jackson, Heath Ledger or Anna Nicole Smith, it becomes a round- the -clock news event, and often a flat out circus. 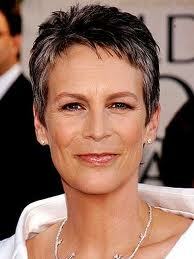 Of course there are success stories such as Jamie Lee Curtis and Robert Downey Jr. and there always will be. But like the world in general, it is a small percentage. The population in general doesn’t learn much or change, and I would surmise other addicted parents could further dismiss their own struggles by a convenient way to separate theirs from a mega star. When a parent is struggling with substance abuse, it is a medical issue, one in which they have little or no control. Further, they often and without knowing, parentify their children in which a harmful role-reversal takes place. The psychiatric community’s definition is as follows: a type of role reversal, boundary distortion, and inverted hierarchy between parents and other family members in which children or adolescents assume developmentally inappropriate levels of responsibility in the family of origin. More specifically, it is when an adolescent is inappropriately tasked with meeting the physical or emotional needs of siblings or parents. It’s important to note that this is not all bad news. Some children and adolescence actually emerge as stronger individuals and adults with incredible coping skills, strong empathy for others and the ability to arbitrate situations like a pro. They also have keen perception skills, strong intuition and are often highly creative. But sadly, this is the exception. As mentioned, typically parents have no idea what they are doing is in any way damaging, yet they have essential assigned all of their parental duties to their child. The child meanwhile is fully aware since they are the ones abandoning all of their personal needs, comfort, attention and guidance in order to accommodate the logistical and emotional needs of the parent(s). Children often feel “special” and “chosen” that their beloved parent has entrusted them with this role, clearly believing so strongly in them the parent is handing over the keys to the adult world. A world they are not in anyway equipped to deal with. But worse, they are robbed of their childhood. They are now peers. Friends. The child becomes very good at this role, the parent then leans on them more, in a never-ending cycle. Often in an effort to keep “tabs” on the parent, a child hangs out with them, be it parties, clubs or other inappropriate atmospheres. When we hear struggling parents say they have their kids to lean on, this is a red flag. Yet we hear it all the time: “Oh, my daughter is my best friend, we hang out together, my son is my little man, we will get through this as a family,” and so on. This is precisely when the parent ought to seek help from a qualified professional. Fear they cannot meet their own expectations and demands. Feeling like they’re still children, well into adulthood, who can’t cope with being adults. Taking on the role of caretaker, i.e. picking partners who need their rescuing. Codependency, and acceptance of too much responsibility i.e. overachievers. It’s nearly impossible for the addicted personality to understand what their child may be going through and what they will endure but as a society, perhaps we can have a better comprehension of this disorder and therein lies an opportunity to help the kids.